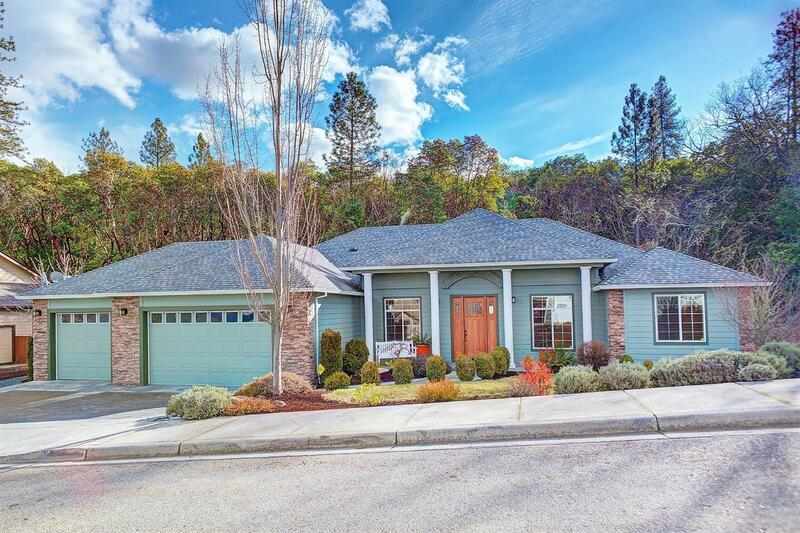 Architecture abounds in this gorgeous, well appointed, custom home on a quiet street in beautiful Meadow Wood with columns, arches, angles, high ceilings, tile & solid oak floors, a plethora of custom wood cabinets & granite counters throughout. Semi-great-room, split bedroom floor plan with ample island kitchen, step-in pantry, dining nook & formal dining room. Coffered ceiling living room with surround sound & gas fireplace is adorned with picture windows overlooking the rear covered patio & forestland. The master bedroom is massive with its own gas fireplace, sliding door to the back patio & fenced garden, roomy walk-in closet & spacious, spa-like master bath with jetted tub & Italian tile shower. From the level, no-step entry you'll find the den/office with glass French doors for added light. The lovely rear patio overlooks a seasonal pond home to annual, wild ducklings to feed while you relax enjoying the peace & privacy of the Oregon woods beyond. Call for a look inside today!